This is another, very chilling step towards genuine Fascism by Trump, who’s surrounded himself with Fascists and White Supremacists. In this piece from the David Pakman Show, the host and his producer, Louis, reveal how Trump introduced legislation that would permit employers to demand their employees take genetic tests and hand over information about the DNA. This was slipped past Congress when the public had their attention on the colossal mess that is Trumpcare. This overturns previous legislation which prevented employers from demanding such information, not least under US privacy laws. The legislation permits US employers to do this if they are running ‘wellness’ programmes. Pakman states that this is all about employers having the ability to charge people more for their healthcare, if they find out they have certain genetic conditions. This is exactly what the authors Ruth Hubbard and Elijah Wald wished to expose and counter in their book, Exploding the Gene Myth (Boston: Beacon Press 1997). 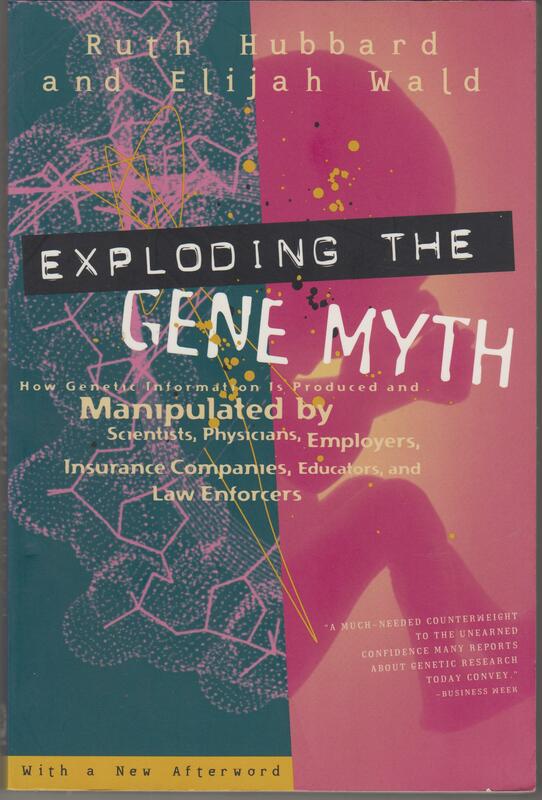 The book is subtitled ‘How Genetic Information Is Produced and Manipulated by Scientists, Physicians, Employers, Insurance Companies, Educators and Law Enforcers’. It’s about the way the above have tried to link illness and criminality to heredity since the 19th century, and how this has led to eugenics legislation in which the ‘genetically unfit’ were sterilised and institutionalised in order to prevent them breeding. Or else it was used as pretext to prevent the passage of welfare legislation. The argument here was that it would be a waste of resources supporting those, who were unable to work as their illness was down to their own faulty biological heredity, not the terrible working conditions and industrial hazards of the time. 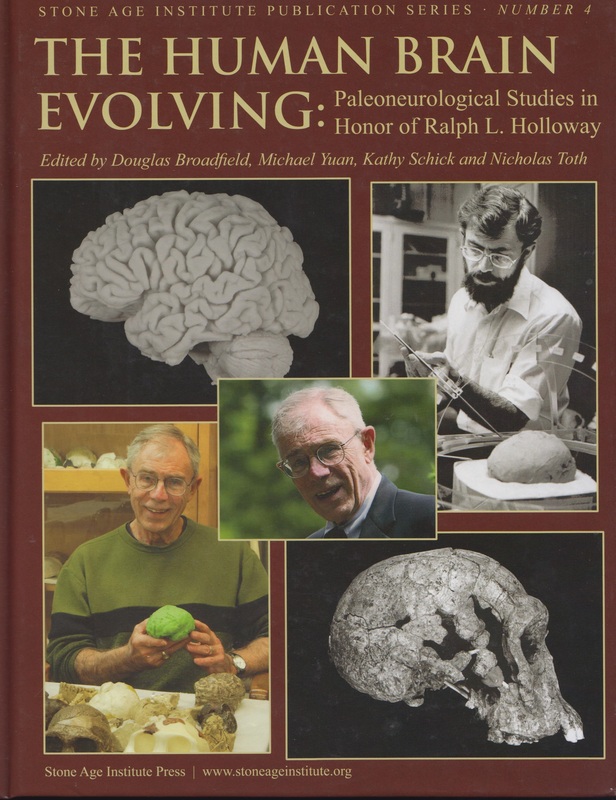 There is also a preface, in which they give their reasons and aims for writing the book, a conclusion and afterword, as well as an appendix on mitochondrial DNA, notes, glossary and a bibliography and list of other resources. There were a series of scandals regarding the enforced genetic testing of employees in the ’80s and ’90s, one of which was compulsory genetic testing of a set of recruits in the US army. They also make it very clear that the insurance companies wanted to introduce it as a way of charging those with ‘faulty’ genes higher premiums. And from that, it’s a very short step to eugenics and then the mass slaughter of the congenitally disabled under the Third Reich’s Aktion T4. The forcible genetic testing of US recruits is mentioned in one of the books that came out on the X-Files, as an example of how the paranoid fantasies of the show nevertheless had a factual basis in this instance. To be fair to the Christian Right in the America, they are very hostile to sterilisation and eugenics. However, it’ll be interesting to see if they oppose this noxious piece of legislation. In much of the rhetoric of the religious right, such legislation is linked to oppressive, totalitarian states, like Nazi Germany or the Soviet Union. It’ll be interesting to see if they oppose it when it’s introduced by an ostensibly democratic government (yeah, I know, it ain’t really), dominated by big business and which is bitterly hostile to any kind of Socialism. I don’t think you’ll see a word against it. As Pakman explains, when it came to voting, all the Republicans voted for it, all the Democrats against. And I doubt the right-wing Conspiracy fringe will oppose it either. Alex Jones on Infowars has been pumping out pro-Trump propaganda since the Orange Nazi’s election campaign. He wants Americans to believe that Trump is somehow ‘anti-globalist’, despite the fact that he’s stuffed his cabinet full of globalists and monopoly capitalists. This is truly terrifying, as it does bring us once step closer to the genetic dystopia of the film Gattaca. And it’s yet more proof of the Nazism at the core of Trump’s administration. Reports in the literature from the USA on ME / CFS, The NIH for example, cite fMRI, PET scan (imaging of brain) evidence for CFS/ MEe, along with immunologic and inflammatory pathologies, ie it is a physical disease, with measurable physical changes in the patient. There are ample published critiques of the Oxford authors’ results, analysis and conclusions, poor experimental design and methods, and fatal flaws in the execution of the studies. Not least some medical researchers have raised ethical concerns regarding the Oxford Authors earlier PACE study, which is the basis for CBT/GET therapy in the UK. Indeed the IOM proposed a new name for the disease – Systemic Exertion Intolerance Disease, embedding the key concept of post-exercise malaise (mental or physical). So much for GET IN fact many of the committees and editorial boards of post-conference publications have expressly bewilderment and concern with the “UK model” of psychological illness. The prominence of this report in the national press demonstrates that these are the preferred Establishment scientists, and they are being rewarded for their work in providing (quasi) scientific support for a political view of this illness. Worrying. In a nutshell, science has proven that ME is a real disease, and this tripe peddled in Oxford is purely politically motivated pseudoscience. It dovetails nicely with the fake, and ethically-damned nudge unit foray into forced psychological “testing” of JSA claimants which was revealed a couple of years ago, plus the new forced CBT for JSA and ESA claimants in the Job Centres, illustrating the govt ideology that worklessness, like disability, is a psychological deficit in every individual. Many years ago I was asked to read & deliver my opinions on a number of publications by those working under Stalin (it was hard going). I took away a couple of things that remain relevant today. The Corporatist control of research, especially since Thatcher, has been quasi-Stalinist, and has been damaging to scientific research generally, but medical research in particular. Second, the current govt is following a descent into Stalinist state use of psychiatry and psychology against those it wants to control. In other words, it’s just part of a general pseudoscientific model of illness that claims that somehow it’s all imaginary because this fits with Tory and Blairite attitudes to unemployment and those off sick through disability, in the same way that Stalinist policies corrupted science in the Soviet Union. There are a number of very good books on pseudoscience, and the promotion of spurious, fake, and in the case of eugenics, murderous doctrines in the history of science. The one I mentioned yesterday was Ben Goldacre’s Bad Science. 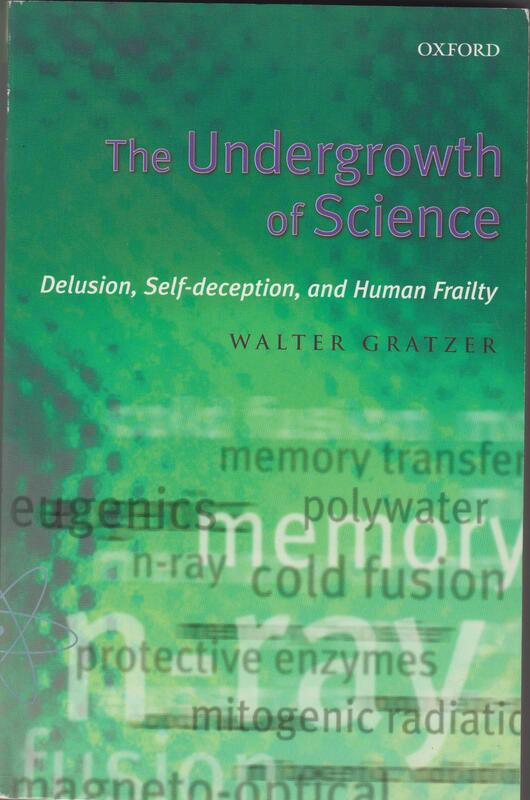 Another book worth reading is Walter Gratzer’s The Undergrowth of Science: Delusion, Self-deception and Human Frailty (Oxford: OUP 2000). Memory transfer, or eat your mathematics. -This includes a number of weird ideas, including the controversy over Uri Geller and his supposed mental powers. – This is about Cold Fusion. 7. What the Doctor Ordered. useless operation on perfectly healthy people, including their kidneys. – Surgical removal of parts of the colon to prevent aging. – Monkey glands, or the surgical implantation of part of monkey testicles in order to rejuvenate people. – Drinking radium for your health. 8. Science, Chauvinism and Bigotry. Is there a Marxist chemistry? The consequences of the Nazi incursion into science. The rise and fall of eugenics: a pathological science. Ever science Sir Francis Bacon and Descartes in the 17th century, science has been one of the most powerful forces in human society for extending human knowledge, and improving health, living conditions and industrial, technological and economic progress. But it doesn’t occur in a vacuum. It’s made by humans, sometimes fallible human, who can make mistakes, sometimes with disastrous consequences. Some of this is caused when science is moulded by ideological, particular political forces, such as in the Third Reich and Stalin’s Russia. While these cases are notorious, the topic is still highly relevant today, when it seems that nearly every day the papers carry stories claiming that scientists have found the cure for this, or that a particular disease is in reality caused by such-and-such. In many cases scepticism is most certainly warranted. And in the cases of the model of disease now promoted by the DWP, these should be taken with a whole mountain of salt. It’s clear to me that Ian Duncan Smith’s and John Lo Cascio’s ideas on the origins of the disease in the unemployed should also be consigned to the dustbin of dodgy, politically motivated pseudoscience, to be included in future editions of book’s like Glatzer’s.